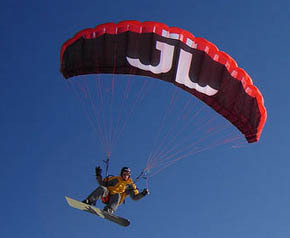 The sport of “Speedriding” (which has been called “speed gliding” or “ski gliding” as well) is a kiteskiing-like discipline. 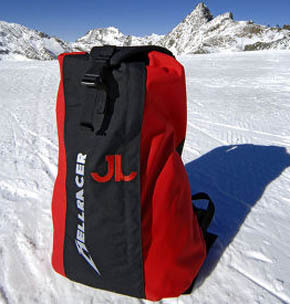 Speedriding entails, according to the company, “flying along the slope at high speed a few meters away from the snow.” You ski along and then simply take off and fly over rough terrain when needed. The rider (or pilot, as it were) controls flying height and speed with a brake mechanism, and you adapt the glide path to the steepness of the hill. Wow! Watch for the full Gear Junkie review soon. This rig, not surprisingly, was just bestowed with an ISPO BrandNew Award.